VA Certificate of Eligibility: Am I Eligible and How Do I Get My COE? What is the VA Certificate of Eligibility? The VA Certificate of Eligibility is proof to your lender that you meet the criteria to receive the backing from the Department of Veterans Affairs. You must meet certain service requirements regarding the length of time you served in a branch of the armed forces, whether during wartime or peacetime. Some spouses may also qualify for the Certificate of Eligibility. During the application process, you may hear this referred to or abbreviated as the VA loan COE. We Specialize in Helping Veterans Find Home Financing, Get Pre Qualified Today – Click Here. 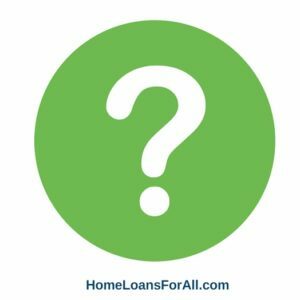 How Do I Get My VA Loan COE? 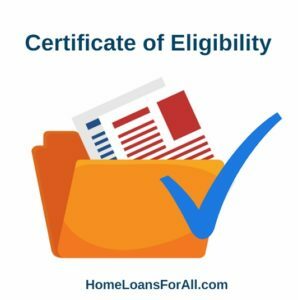 There are multiple ways you can obtain your Certificate of Eligibility, whether on your own or in conjunction with your lender. 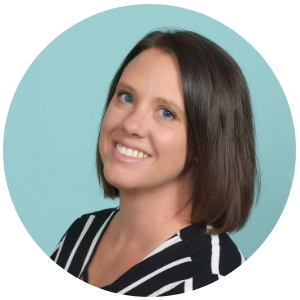 Depending on the specific information you have and your access to the eBenefits portal, you may find one of these methods to be easier than another. Many of the lenders that offer the VA loan program have access to the web-based system that establishes your eligibility. With their help, you can obtain your VA loan COE in a matter of minutes. Not all veterans and service members will qualify for this method, so be sure to ask your lender. If you feel confident online, you can apply on your own using the eBenefits portal. Users who have an existing account can use their current login credentials or register for a new account. From here, you can follow the prompts to guide you through the process of verifying your eligibility. What are the VA Entitlement Codes? The VA entitlement codes are the numbers that describe the type of service that qualifies a veteran for the financing this program offers. They have a numerical value assigned to specific types of service and time periods. For the most part, these numbers are used internally to note which criteria you met. When you officially receive your Certificate of Eligibility, your entitlement code will be located in the upper left-hand corner. The codes range from one to eleven, representing service periods from World War II through the Gulf War. The entitlement codes don’t play any part in how much of the maximum entitlement funding you will receive from the Department of Veterans Affairs. These codes simply notate how you met the criteria to be eligible for the loan. Many service members are eligible for the VA loan, but they don’t take advantage of the many ways that this loan can help them to save thousands of dollars. You should start by evaluating whether you meet the requirements for the program. Meeting the minimum requirements is easier than you may imagine. You can qualify if you have served through any branch of the armed forces, including the Active Reserve or National Guard. You must have a discharge for reasons other than dishonorable conduct. Spouses may also qualify if they are the widow or widower of a veteran who died while in service, died from a service-connected disability, or had a spouse become missing in action or a prisoner of war. If the death was not connected to a service-related disability or injury, you must be in receipt of the Dependency and Indemnity Compensation. Spouses must remain unmarried until the age of 57 and become married after December 16, 2003 to be eligible. These are general guidelines to help you determine your entitlement for the VA Certificate of Eligibility. You can view the full requirements here for more information. If applying through your lender or online, your Certificate of Eligibility may come back in just minutes. Applying through the mail will require more time and may take up to six weeks before a decision is issued. 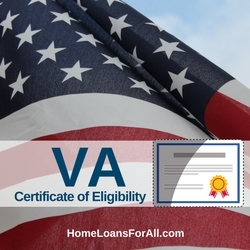 Does a VA home loan Certificate of Eligibility expire? No, a Certificate of Eligibility does not expire unless you obtained it while you were on active duty. If this is the case, you will need to reapply after the active duty tour is complete. Obtaining a VA Certificate of Eligibility is the first step toward obtaining financing for this beneficial loan program. Talk with your lender today about the steps you need to take in order to qualify for your VA loan COE and a VA home loan.